We recently shot Grave Secrets episode 207. I played a lead role as the daughter of a murder victim. Such a fun shoot with a great cast. I have the pleasure of being in a recurring role in Cris Thorne's award winning Web Series, Looking Through the Windows. It's a dramatic comedy about "adulting" as he puts it. I thinks it's super funny because it's loosely based on reality. And the one thing about reality - you can't make this stuff up! My role is Sharon, a straight-laced yet whacky neighbor, who you most likely would dread living near. At lunch at a local eatery, Sharon complains about her under cooked burger and lack of almond milk - of course. At a neighborhood meeting, Sharon expresses her concern for her cat who is being terrorized by some not so neighborly rats. In usual Sharon style, she corners main character, Denise, at the train station proposing that she comes to a neighborhood party. Check out Looking Through the Windows. A friend, Dina Drew Duva, and I co-wrote a short called Mama Drama. We are both producing and acting in it as well. It's a funny story that centers around a suburban mom, Sam, who has a falling out with her friends via text messages. It takes her 10-year-old daughter to remind of what really matters. We'd love for you to join us in making this project. Please check out our page here. A down and out couple gets a special visit from the Publishers Clearing House Prize Patrol. A super fun shoot that went from glum to happy - and a lot of improv and slap-stick comedy. 18LBS and 14 inches down! I am fortunate to have found Beach Body and 22 Minute Hard Corps which helped me lose 18lbs and over 14 inches. I was recently in LA to do a 22 Minute Hard Corps infomercial. 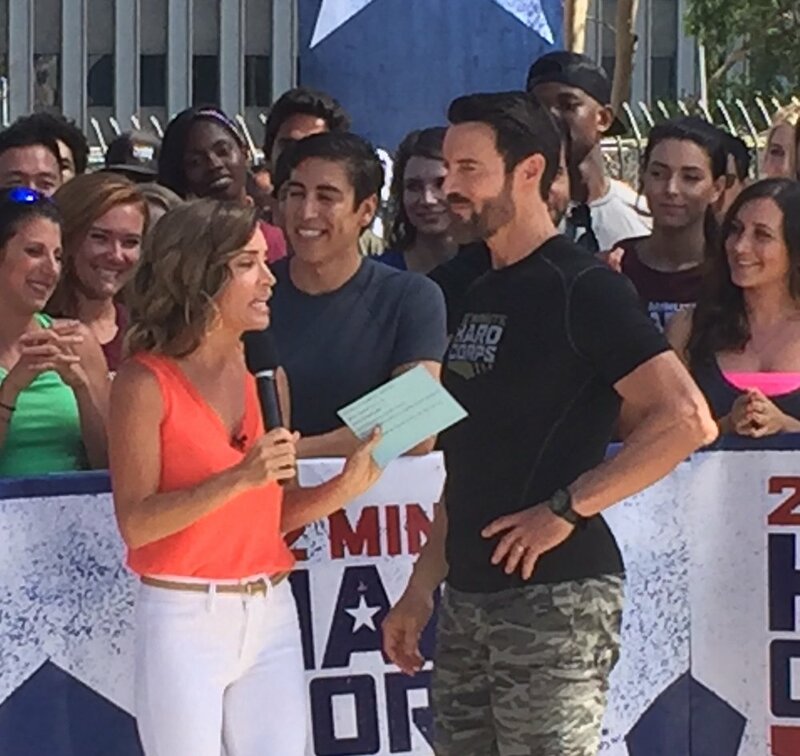 I was interviewed by Kit Hoover & Tony Horton about my experience. It was super fun and I am blessed to have met and worked with such a great group of people.